The cloud shape and pastel hues bring a gentle feel into baby's nursery! SIZE:Children's rug 75 x 55 cm. Available in 2 colours: blue and grey. Wash separately and line-dry immediately. Made from natural cotton fibres. We recommend vacuuming several times prior to use. 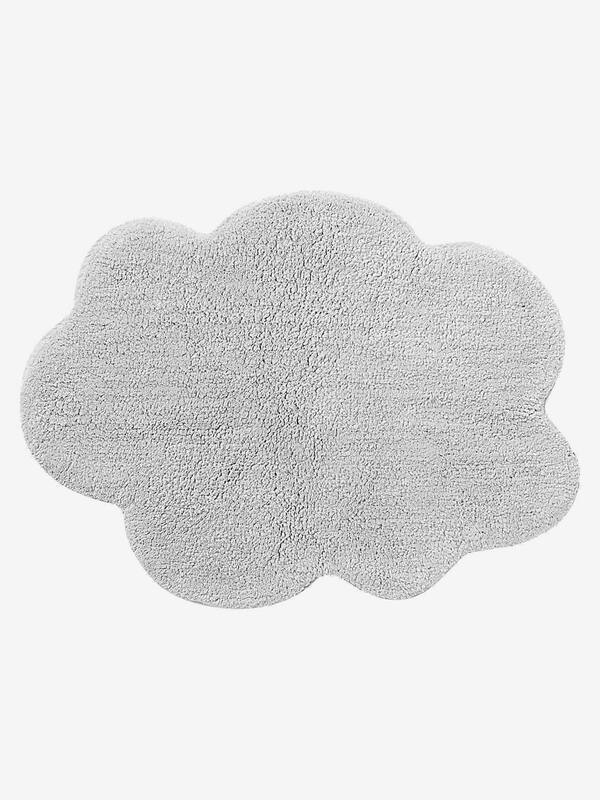 Children cloud rug in pure long tufted cotton.